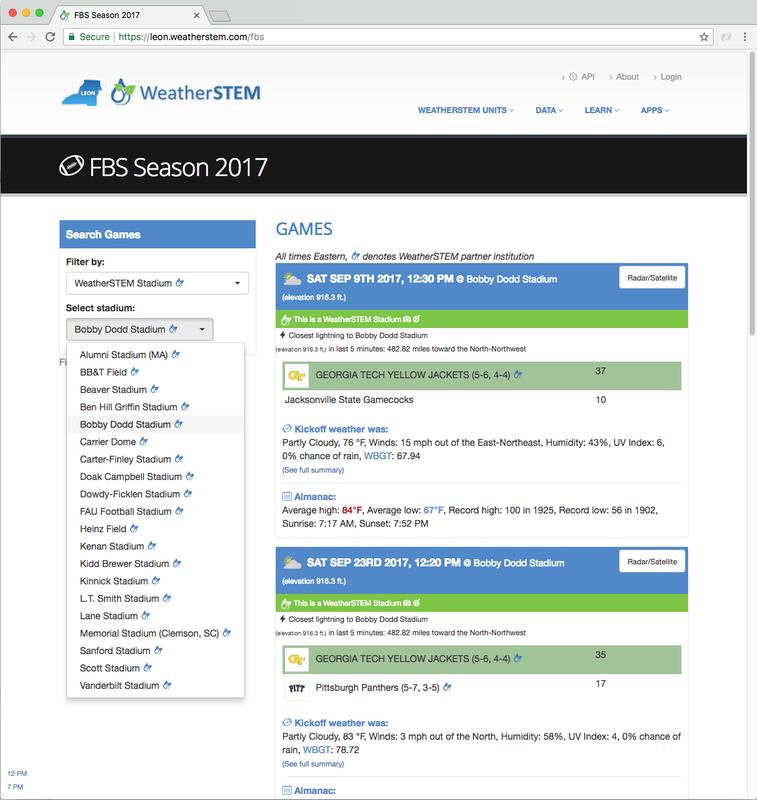 WeatherSTEM offers a host of features that will add a new dimension of safety, interactivity, and fun to your high school, college, or professional athletics program. 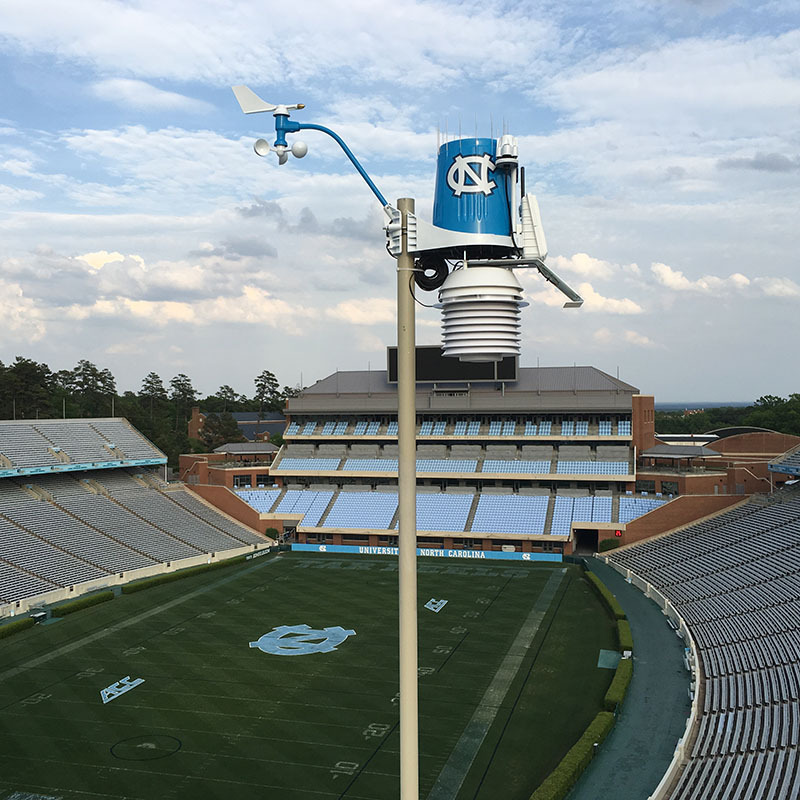 Our WeatherSTEM units are branded with your team's colors and logos and are a real fan favorite! Who says safety/science instruments have to be ugly? 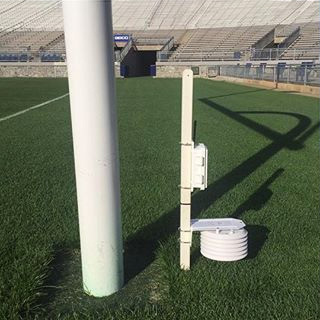 We also have a host of sensors that can measure conditions in the stands, on the field, and under your natural or synthetic playing surface. 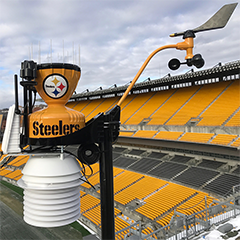 We have placed artistically branded WeatherSTEM units in some of the most high profile football stadiums in the United States including Heinz Field, Penn State's Beaver Stadium, and the University of Florida's Ben Hill Griffin Stadium to name a few. Our WeatherSTEM units are as informative, accurate, and reliable as they are beautiful. WeatherSTEM units measure wind speed and direction, rainfall (accumulation and instantaneous rate), temperature, humidity, pressure, and solar/UV radiation. WeatherSTEM handles the installation as well as the ongoing support and maintenance of the weather stations. With one of our custom-branded weather stations at your athletic venue, you'll be able to tell your visitors the weather. With our stadium cameras, you'll be able to SHOW them the weather. Our stadium cameras are weather-proof and offer live streaming video capabilities. They are favorites of fans of all ages and automatically tweet pictures at sunrise, sunset, and even when the home team scores a touchdown! As with our weather stations, WeatherSTEM handles the installation and ongoing support and maintenance of the stadium cameras. 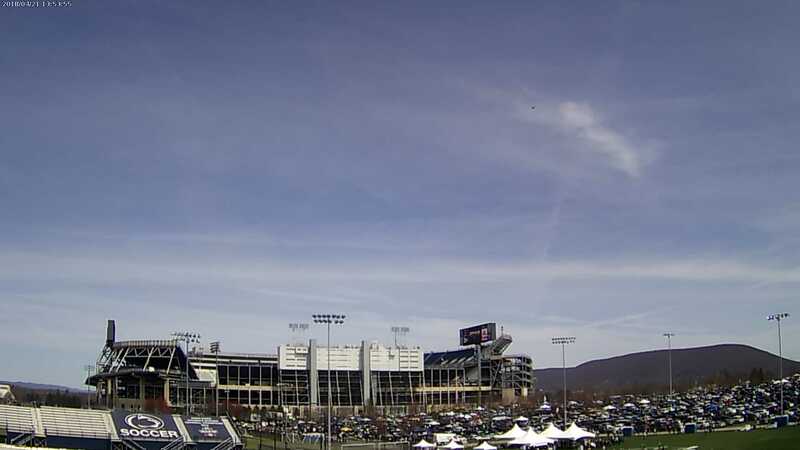 In addition to measuring weather conditions with one of our WeatherSTEM stations, you can also measure conditions across your stadium in the stands and on the field. Common stadium configurations include temperature and humidity measurements in both the shaded portions of the stadium as well as those in the full sun. Field-level temperature and humidity measurements are also commonly implemented as well as turf moisture content and playing surface temperature. We can also add noise detectors so you can know just how loud your stadium gets when your team scores a touchdown! Through our innovative partnership with FantasyData, we are able to integrate historical, real-time, and forecast weather data with past, current, and future schedules from college and professional sports. Check out our College Football Weather Almanac as an example. Scores during games are even updated in real-time!